Fiery, strong-willed Deb Grantham, who presides over a gaming house with her aunt, is hardly the perfect wife for the young and naive Lord Mablethorpe. His lordship's family is scandalized that he proposes to marry one of "faro's daughters", and his cousin the proud, wealthy Max Ravenscar - decides to take the matter in hand. Ravenscar always gets his way, but as he and Miss Grantham lock horns, they become increasingly drawn to each other. Amidst all the misunderstandings and entanglements, has Ravenscar finally met his match? Deb Grantham is one of Georgette Heyer's tall, sophisticated, unconventional heroines, in an adversarial romance with one of Georgette's coldhearted leading men. The expected array of secondary romances, matrons with the vapors, giddy ingenues, ardent young blades, jaded dandies and knowing servants surround the central pair as they battle their way to love against a backdrop of the London gambling scene, circa 1795. Not technically a Regency, it's set just after the French Revolution and just before the Napoleonic Wars--which is to say, in Heyer-fan terms, just after powdered hair but a little before Beau Brummell. Good story, poor reading. Do I recommend it, or not? Georgette Heyer's prose is demanding, and her novels, though lighthearted, are beloved classics that deserve to be recorded with respect. I don't feel like that happened here. This audiobook sounded to me as if both producer and actor said, "Yeah, whatever, it's just a romance, so let's get through this quickly. Nobody who matters will notice." To be fair, Laura Paton has a good voice and the requisite command of RP British English. Some of her characterizations are pretty solid, and I can mostly tell one character from another. I think her choice to read an obviously Irish character with a London accent is odd, but probably preferable to a terrible fake Irish accent, so that wasn't a deal-breaker. She reads accurately (which is more than I can say for some other Heyer audiobook narrators). Here's the thing, though: Paton's reading sounds as if she encountered the text for the first time in the recording booth--as if there was no thought, no rehearsal, no preparation, and only the most cursory understanding of the characters. The reading is often rushed. Emphasis is misplaced in sentence after sentence, so that important plot points have no more weight than connecting narrative, and all the characters sound angry and tired. I was so busy reinterpreting phrases in my head that I would lose the story thread entirely. 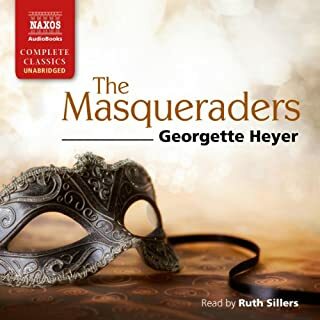 The best audiobook narrators understand the cadences of Georgette Heyer's sparkling style, and have made some of her middle-of-the-road stories into favorites that I listen to over and over. I count Phyllida Nash, Eve Matheson, and Sian Phillips in this category. Less-than-stellar narrators make favorites into sad disappointments--expensive placeholders in my Audible Library where a beloved go-to comfort listen should have been. I'm sorry to say that this is the case with Faro's Daughter. 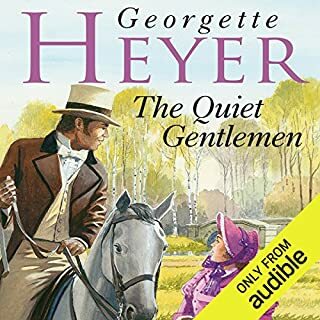 This is one of the most unique stories from Heyer with a different setting for her characters. It is one of the ones that I like the most, but I did not enjoy the narrator. She had an odd way of interpreting the male protagonist that I did not enjoy. I won't listen to this narrator again. why on earth did the narrator use those awful voices??? This really spoilt my listening pleasure. 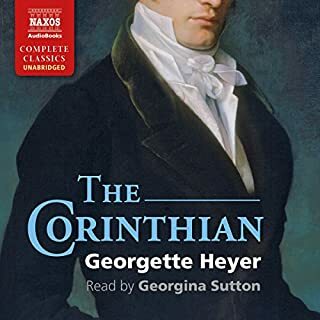 This is one of Georgette Heyer's classic historical romances, with a spirited, beautiful heroine and a darkly handsome leading man. The story would be trite if it weren't for Heyer's wonderful characterization and humor. 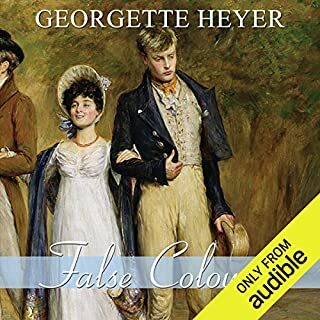 The supporting characters always make Heyer's stories rich and wonderful because she doesn't stint on their complexities, even if they have only brief appearances in the plot. For whatever reason, the part of Faro's Daughter which always pops into my mind is the youthully enthusiastic, painfully detailed description of the carriage race by Adrian, and Deb's exasperated reaction to it. It is a pivotal moment for Adrian, when his relationship with Deb changes forever. Who would you have cast as narrator instead of Laura Paton? My biggest quibble with Laura Paton's narration was her voicing of Lucius Kennet, whose character is unmistakably Irish, but is given a strange, working class accent by Paton. The wrong accent makes Lucius' dialogue sound very odd. She might also review the pronunciation of the word "phaeton." Not your typical Heyer Regency because the heroine is not "quality" or even impoverished gentility. But it follows the successful formula of many of Heyer's novels, and was thoroughly enjoyable. Narration was great. This is one of my favorite Heyer novels but I just couldn't listen to it. The narrators male voices, especially for the main character (Ravenscar) is awful. Sadly, I am going to return this book. Would you listen to Faro's Daughter again? Why? I will listen to this book over and over. The verbal sparring with Max and Deb is so much fun. You can imagine the scene unfolding before your eyes. I liked the way Heyer slowly bring the H and h to a realization that their the first impressions were wrong. She is so skilled it does not seem improbable at all. What does Laura Paton bring to the story that you wouldn’t experience if you just read the book? I love the variety of voices she can create for the characters of the story. She brings each character to life. She paces her reading very well. When the character is excited or angry, the reads with more energy. She acts each part. Exactly as I hope each time I hear a narrator. I will look for more books read by Laura Paton. I laughed in many places throughout the book. Deb's reaction to Max's high-handedness is so funny. Yet, it is a romantic story of first impressions being corrected and everything set to right. I recommend both this book and the narrator. Narrator improved as the story progressed. The entire book was a build up of plot with clever twists and turns. Just when you thought you would have the satisfying ending the story stopped. Abruptly. I almost thought something had gone wrong with the recording and that it had frozen in playback! This is my second go round for Ms Heyer's books. Listening to them instead of reading. I find myself falling in love anew. In Faro's Daughter the protagonists are delightful. This is not a summary of the story but a recommendation on the author's prowess in drawing complex characters, interesting storyline and a satisfying ending. All very neat! The narration is one of the best. I would read other narration by Ms Patton simply because of her voice, her ability to portray the unique personalities and nuances of the characters. This is a must listen/read! I have yet to be disappointed by this author! One good book after another . You will not be disappointed with any of her writings .. This is one of Georgette Heyer's better comedies, and as a book I like it a lot. I held off from the only audio version as it was Abridged, which never works, so was really pleased when this was released. The other reviewer's comments on narration are fair, it's adequate but never really comes alight, and this is a book that should rattle along at a joyous pace much as The Talisman Ring does. The female voices are OK, and it does improve as the story progresses, but for me the male voices just don't work, and the whole thing is a bit bland and flat. With such accomplished Heyer narrators as Phyllida Nash, Eve Mathieson, Daniel Phillpott et al (hopefully) available, that seems a shame. The reader. She does not have a bad voice but there is little intonation and no drama. Which is a shame as this is a good book with good characters and an excellent plot. Who might you have cast as narrator instead of Laura Paton? Phyllida Nash, Nicholas Rowe, Julian Rhind-Tutt, Richard Armitage..............lots to choose from. Do you think Faro's Daughter needs a follow-up book? Why or why not? This book is complete. Georgette Heyer generally left her characters alone apart from one family in particular. It's not a badly read book but could have been so much better. 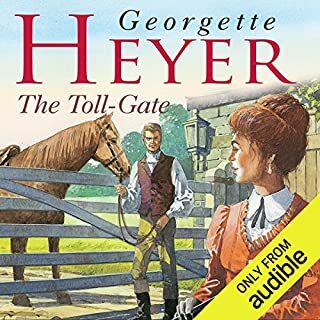 The first Heyer Audiobook that I have disliked. Mainly due to its Narrator. I have given it two stars because I really liked the story in printed book. Unfortunately, the narrator does not get the timing right in any of the main passages where Ravenscar and Debs throw insults at each other....it loses all of its zest. She also has problems getting the voices different so you are not sure who, is saying what, in the key scenes. It may be that this book is best read, so you can go at your own speed as the abuse flows and indignation is felt. You lose the impact of how insulting they are being to each other and how offensive it was in this era. Hearng it read loses so much. I was really disappointed in Laura Paton's portrayal of Max - much too 'stylised' (pompous? ), and not nearly forceful enough. Also, though less so, by Deb (and her aunt) - among other excellent readers of GH books (besides those mentioned by 'Maggie') are Cornelius Garrett & Sian Phillips. (Like her aunt!) I do get a bit irritated by Deb! Why can't she be more straightforward? She could have told Max at the outset that she had no intention of marrying Adrian, and was insulted at the suggestion she could be bribed - but then there wouldn't have been a story! Nor would we have had the usual excellent interplay between the main characters, which is what appeals to me most in her books. 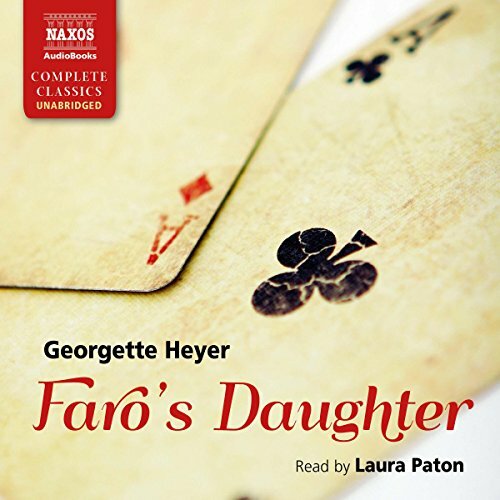 Would you try another book written by Georgette Heyer or narrated by Laura Paton? Would you be willing to try another one of Laura Paton’s performances? Was Faro's Daughter worth the listening time? I laughed out loud many times. The story and its telling was very entertaining! Great! 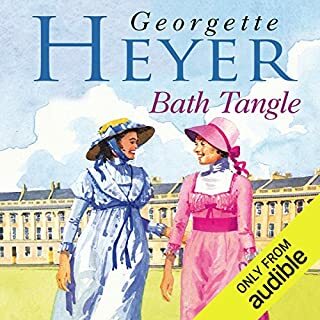 Always been a fan of Georgette Heyer's books, it was a treat to listen to this! Full of a good plot, interesting characters and a good dollop of Georgette Heyer's witty repartee for which she is famous. I've listened to it twice already - marvellous fun.